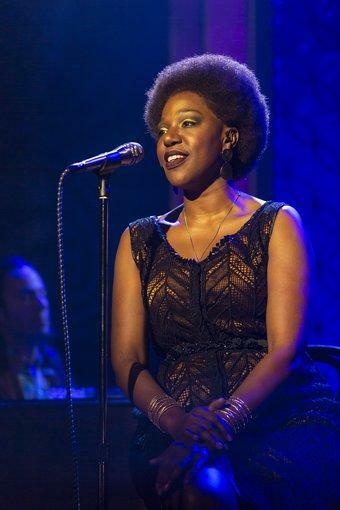 Laiona Michelle as Nina Simone in "Little Girl Blue"
Nina Simone was a cultural icon who used her creativity to attract a worldwide audience and spread a message of social and personal injustice and racial inequality. 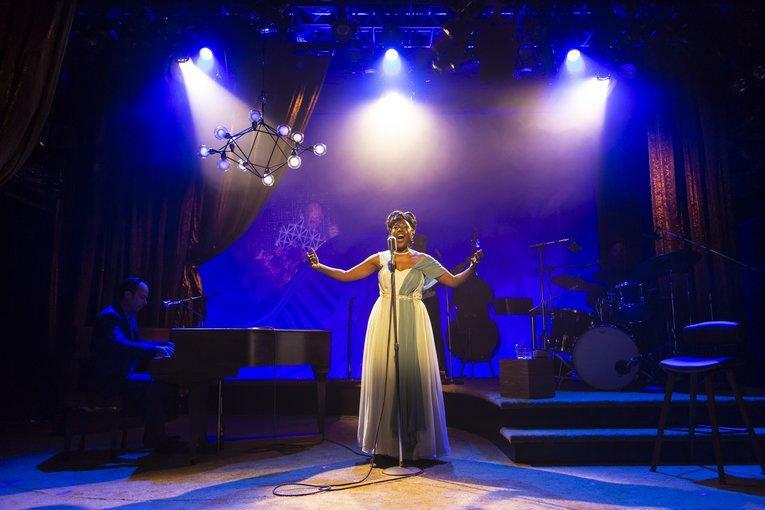 Actress and playwright Laiona Michelle, through Ms. Simone's words and 17 songs, raises the high priestess' profile in Little Girl Blue, running through February 24th at the George Street Playhouse in New Brunswick, New Jersey. Michelle joined WBGO morning host Gary Walker to talk about this seven year project which one could immediately tell had changed her own outlook on the world around her. 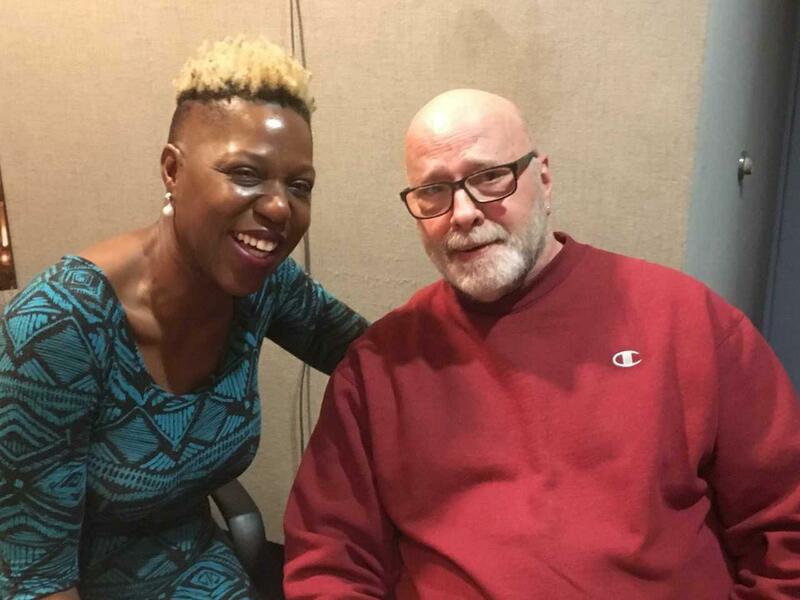 Gary and Laiona shared stories of affection and their love of Nina Simone during their chat in the WBGO studios. Michelle says she's always been Nina's biggest fan. "I love her. I love her spirit, her tenacity, her grace, her confidence, her bravado, her fight, her dignity. I think she's very necessary." Michelle uncovered many triumphs and personal challenges while researching Simone's life for the Little Girl Blue musical. Laiona Michelle says Nina Simone put a "spell on her"
"One of the things that surprised me was the fact that she endured so many years of abuse by a man, who was her husband, because I find Nina Simone to be tremendously strong. I couldn't for the life of me wrap my mind around how is it that this woman who has so much fight in her and so much dignity in her and so much power inside of her on stage could then go home to such tremendous abuse. So to me that was a struggle. So I did a lot of research on what it is for women to be victims of abuse, to make it to the other side of that. I really want to find out what that was all about. I think that's one of the things that also attracted me to Nina Simone was the complexity of her as a woman." Michelle says Nina Simone put a "spell on her." Click above to hear the entire interview between Gary Walker and Laiona Michelle.